Alaska Railroad passenger train approaching Beluga Point a few miles south of Anchorage. All photos were taken while standing about 10 feet off the track. With the train traveling about 30 mph, it got a little exciting being that close. 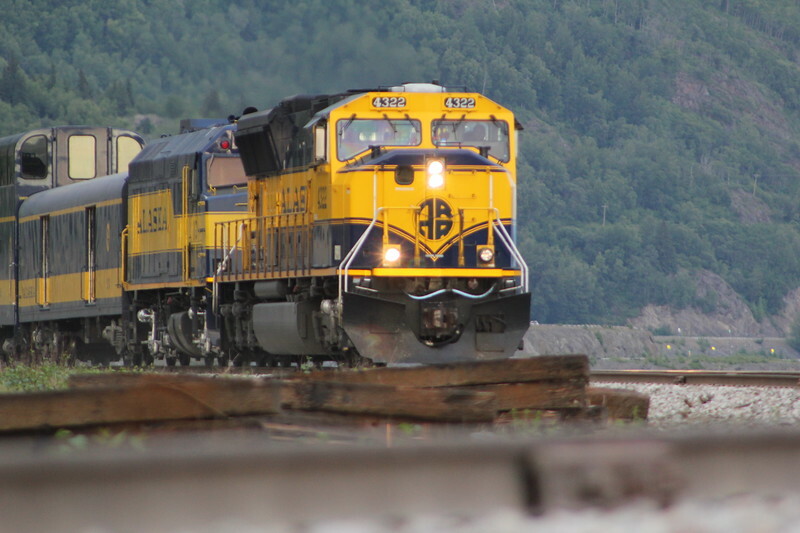 Alaska Railroad passenger train rounding the bend at Beluga Point along the Seward Highway on Turnagain Arm south of Anchorage, AK.